BBC expands local radio onto Freeview. Will it be a squeeze? 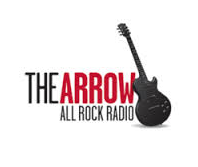 All rock radio station The Arrow has returned to satellite after nearly five years. The radio station, which once used to be available across much of the UK on DAB digital radio, as well as on Virgin Media, has taken the place of Real Radio Wales on Sky channel 0146. The move comes as The Arrow's owner Global Radio prepares to turn Real Radio into Heart, which is already available on satellite. Real Radio Wales is being split into two Hearts, one serving North and parts of Mid Wales, and one serving South Wales. The former being run via Communicorp on a franchise agreement. Industry insiders suggest The Arrow will only temporarily reside on satellite, until owner Global Radio uses the slot for the satellite transmission of the forthcoming new 70s-90s station, which is launching at some point on national DAB this year. It's the local radio network which surely must have the most outlets across various digital platforms. Now, in addition to broadcasts on FM, AM(MW), DAB and online, the first two BBC Local Radio stations have gone live via Freeview. Listeners in London can tune into BBC London on channel 721. Listeners in the West Midlands TV region can tune into BBC WM on channel 722. The launch was reported by a516digital earlier in the week. Tests using "hidden streams" were spotted at the beginning of March. BBC London is already broadcast via satellite TV services, but it's the first time BBC Local Radio in England has gone onto the digital terrestrial TV network. The launch has already raised questions from some listeners, especially as BBC WM is being broadcast across a much wider area than its core FM/DAB coverage area. Listeners are wondering why their Freeview service is carrying BBC WM rather than their local station in the Midlands. Should this week's launch be a precursor to a full roll-out, some listeners will invariably miss out thanks to the regional transmission structure of the BBC service's on Freeview and its anomalies (think of North Norfolk receiving BBC Hull and ITV Yorkshire, for example) compared to BBC Local Radio's traditional radio transmitter coverage areas. Although the BBC has so far remained tight lipped over Local Radio on Freeview, the choice of channel numbers on Freeview indicates future expansion. Channels 719 and 720 are used for BBC Radio stations in the nations across Scotland, Wales and Northern Ireland. Rather than launching BBC Local Radio in England on channels 719 and 720, which remain unused in England because of their use in the nations, the BBC have utilised channels 721 and 722. This means the BBC now effectively has a range of channels - from 719-722 - to enable it to have four consecutive local radio slots on the Freeview channel guide in each English region. In practice, capacity on the BBC's main Freeview multiplex remains extremely limited - and in Scotland, where BBC Alba TV is shoehorned in - some radio stations, including BBC Radio 1 are actually taken off air during Alba's transmission hours. Here, BBC TV services have had their audio bitrates cut to 192kpbs. It may take some squeezing and reduction of standard definition TV, audio and Red Button bitrates here and there to allow the BBC to offer a full set of BBC Local Radio stations for each English TV region if it wanted to in the future. Since this article was first published The Arrow has moved to 11585 H, Symbol Rate 22000, FEC 5/6. Sites such as Lyngsat and King of Sat can be used to track current frequencies.